As to how large a role Strange will play in the film, only time will tell. Hulk and Strange do have quite a comic book history together having teamed (alongside Namor) to form the original Defenders in 1971. A very different Defenders lineup is slated to hit Netflix later this year. Thor: Ragnarok will feature the return of Chris Hemsworth as the God of Thunder himself, with Tom Hiddleston as Loki, Mark Ruffalo as the Hulk, Idris Elba as Heimdall and Sir Anthony Hopkins again portraying Odin. Cate Blanchett plays the mysterious and powerful new villain Hela, Jeff Goldblum stars as the eccentric Grandmaster, Tessa Thompson will bring the classic hero Valkyrie to life on the big screen, and Karl Urban will add his might to the fray as Skurge. Also among the cast is Sam Neill, reuniting with Waititi, who directed him in his previous film Hunt for the Wilderpeople, and his Jurassic Park co-star Jeff Goldblum. RELATED: Jessica Jones Meets Misty Knight in First Defenders Set Photos! 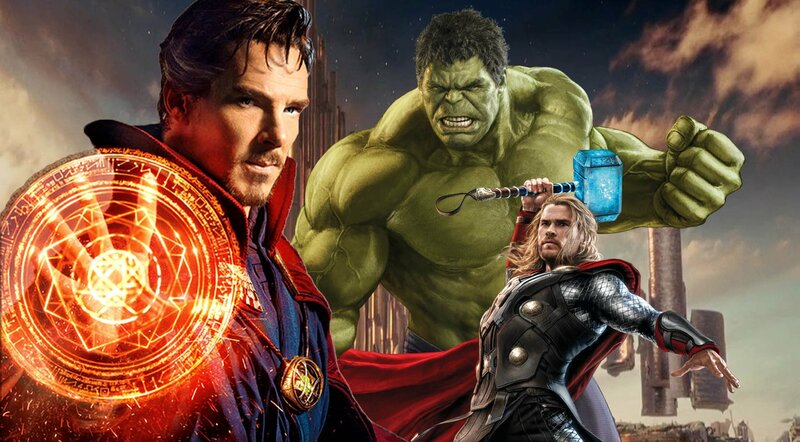 How big a role do you expect Doctor Strange will have in Thor: Ragnarok? Sound off in the comments below!